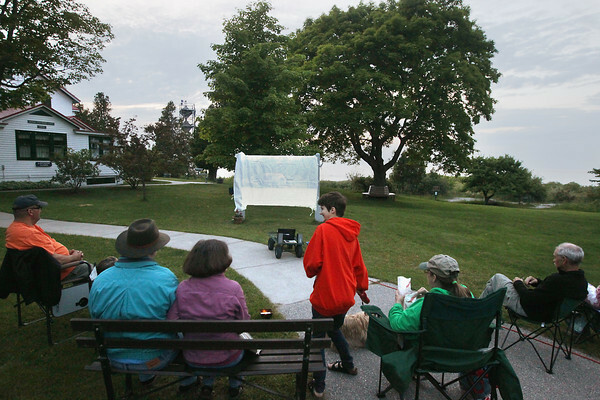 Gwyneth Krepcio, 14, of Ill., sits down prior to the start of a movie at dusk Thursday, June 20, 2013 during Outdoor Movie Night presented by the Grand Traverse Lighthouse Museum in Leelanau Township. Movies are scheduled to be shown on select Thursdays and Saturdays through the summer until August 31. For more information call 231-386-7195.